This representative three color composite is consisting of Johnson B, V, and I filter exposures, represented in blue, green, and red respectively. The Open Star Cluster NGC 1857 is a largely unstudied object in the constellation of Auriga near the antigalactic center. 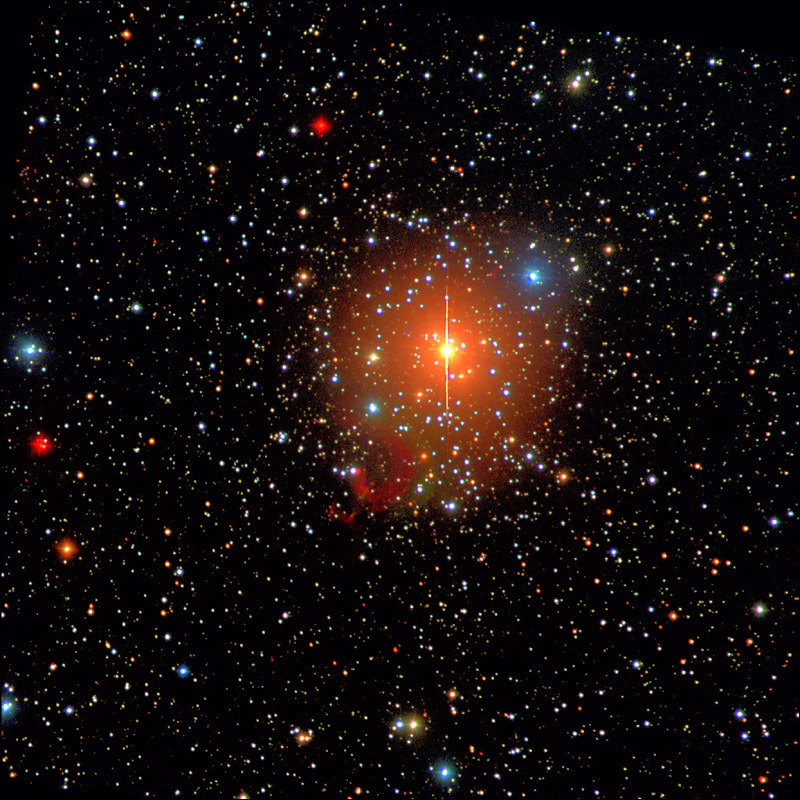 It consists mainly of blue main sequence stars, but there are already about a dozen of red giants in the central field. The age was determined by Colegrove et al. to be 180 million years. 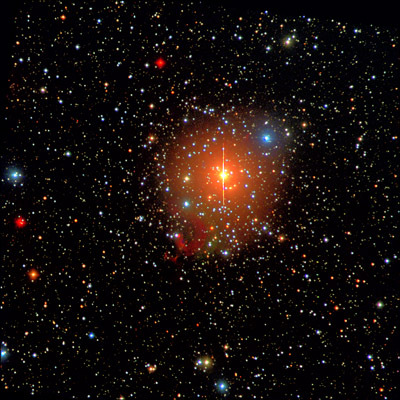 The brightest stars do very probably not belong to the cluster population. They are younger and/or much closer. They might belong to the very loose Open Cluster Czernik 20, which is located north of NGC 1857, but extends into our field of view. The intensity of the V=7.4mag bright red giant of spectral type K 5 is strongly polluting the image with its extended point spread function, reflections and CCD-blooming (all non astronomical effects by our atmosphere and telescope/camera).